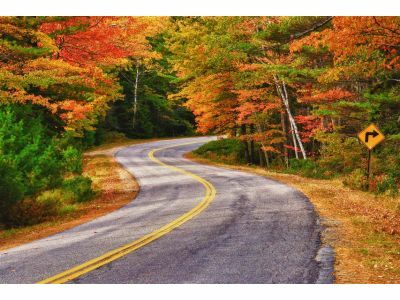 Wringing the Most Out of the Driving Season | Atlantic Autowerks Ltd.
We understand our clients because we're just like them. They say Virginia is for lovers, well, we love sliding behind the wheel and settling into the driver's seat. Labor Day marks the beginning of rainy days and deteriorating driving conditions, and we might wistfully look ahead to scheduling our winter BMW and MINI maintenance - but there are definitely still some beautiful days ahead. We've got the fall color tour to look forward to, and some pretty incredible drives right here in our backyard. If you're thinking of a laid back tour, we've got the Blue Ridge Parkway. It's a great time to take to the road - families are staying home with kids back in school, and it's not quite time for the snowbird migration. From Afton, Virginia all the way to the Smokies, there are 469 gorgeous miles to explore. Visit or Re-visit The Back of the Dragon. BMW and MINI drivers love the feel of the road, and the thirty-two miles and over 300 curves will satisfy the most diehard among us. When we've got drivers coming from all of the United States and beyond to drive our roads, we need to make sure we're taking the time to really appreciate what's here for us. We recommend you make sure your systems are in order before any driving tour. If you need an oil change (recommended every 3,000 miles for petroleum oil and no more than 7,500 miles for synthetics) you'll want to take care of that before you leave. If you're settled there, don't forget to make a visual inspection of your vehicle, and check fluid levels and top off if needed. It's also not a bad idea to start thinking about winter driving - schedule ahead for your winter maintenance so you get the time that works best for you. Happy Driving! © 2019 Atlantic Autowerks Ltd. All Rights Reserved.